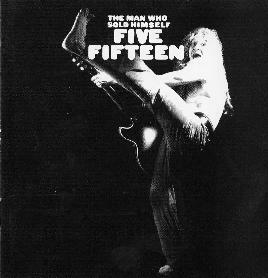 Five Fifteen - "The Man Who Sold Himself"
Five Fifteen is a great Finnish rock and roll band with a long history. The band have released numerous EPs and 6 studio CDs since they began their journey. This compilation CD takes tracks from all the CDs and features the title tracks from the bands CD singles. In addition, you get several unreleased tracks either live (Call The Doctor) or studio with Brian Robertson from Thin Lizzy fame adding extra guitar. Mika, leader of 5.15, also includes personal notes at the bottom of the lyrics for most of the songs. A short history of the band is also included in the extensive liner notes. All in all, if you don’t know this band you deserve to pick up this excellent compilation. 5.15 are one of the truly unique sounding rock bands of our time and the legend and the myth will continue on. For more information you can visit the Five Fifteen web site at: http://www.novision.fi/fivefifteen.